The more merciful warm weather and still-sunny days that come with the end of summer and start of autumn call for one thing – trampoline time! You can do much more with your reliable Vuly than just plain bouncing. Today, we share 5 inspiring ideas for your fun on your trampoline this end-of-summer and upcoming change of season. They'll get the kids outdoors and enjoying their backyard favourite in a whole new way. Transform the HexVex™ Jump Mat on your Vuly trampoline into a jumbo chalkboard! Arm the kids with buckets of jumbo coloured chalk and let their inner Picasso shine. Ask them to make creative adjustments to the existing printed characters on the mat, encourage them come up with their own or just let their imaginations run wild. Thanks to Vuly’s easily washable Jump Mat material, you can simply hose and wipe off the chalk once the kids are done. Create a magical wonderland once the sun sets; adorn your Vuly trampoline frame with twinkling fairy lights. Simply drape fairy lights around the Net Poles, along the top of the Safety Net and around the Safety Padding. It'll make your next ourdoor camp or movie session extra sparkly when you flick the switch. Remember: Avoid using ties or wires to attach lights to the enclosure. This could damage your trampoline. 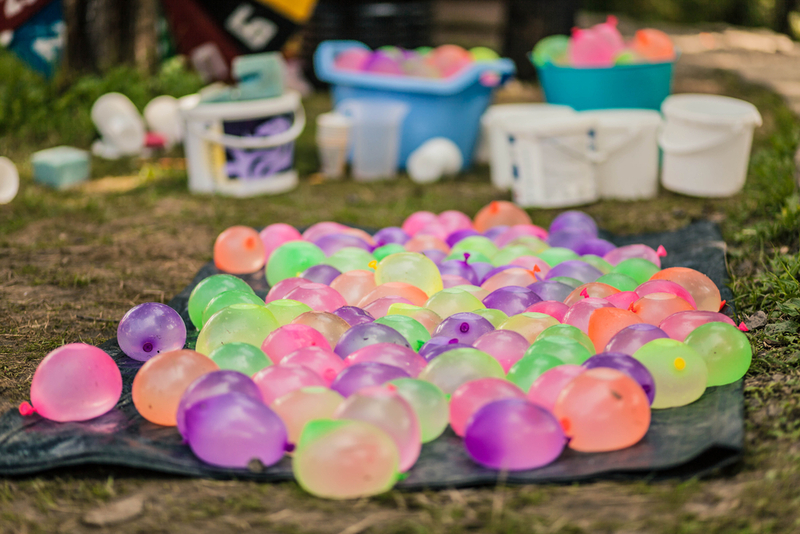 On hot and sunny days there’s nothing like an old-fashioned water balloon fight to cool off! Keep the mess contained within your trampoline enclosure by filling it with water balloons, and then unleash the kids! Attach a Mister to your Vuly, and let them control the spray as they play. They'll love bouncing in a sea of pre-filled balloons and cooling mist. Much loved summer sport, volleyball, is even more fun with some bouncing thrown in! Like many trampoline games, players take turns – with one in the trampoline and one on the outside. Throw a soft volleyball into the mix. Both parents and kids will love ‘setting’ and ‘spiking’ the volleyball over the Safety Enclosure. Tip: Use some chalk to draw out a play area for the player outside the trampoline. Missing the ball while inside the trampoline gives the other player 5 points, missing while outside gives the other player 1 point. If the ball lands outside play area, the players instantly swap places! Once darkness falls, your Vuly trampoline can become an amazing glow stick enclosure! Sit with the kids to create routines and moves with their glow sticks while they take turns bouncing. 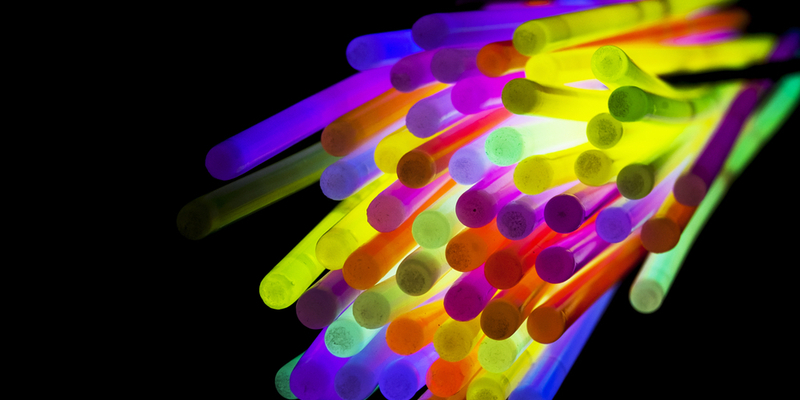 A range of shapes, sizes and colours of glow sticks – all wrapped on their limbs and in their hands – will add some serious fun. 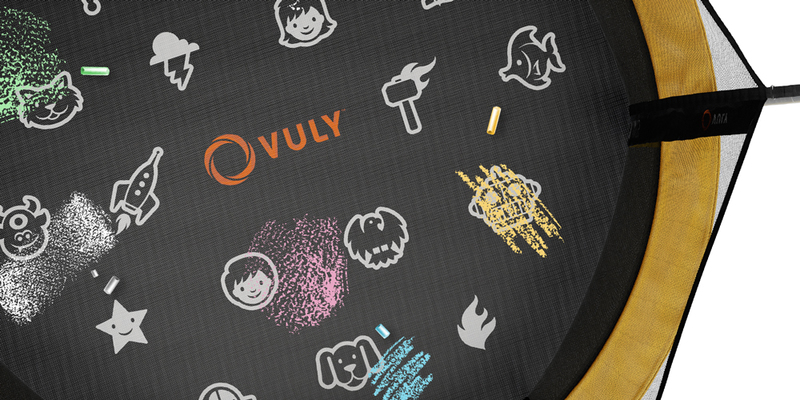 How is your family using their Vuly trampoline? We love to hear your creative ideas!